Last year I traveled California State Route 49 from CA 16 north to CA 89 in one continuous trip. 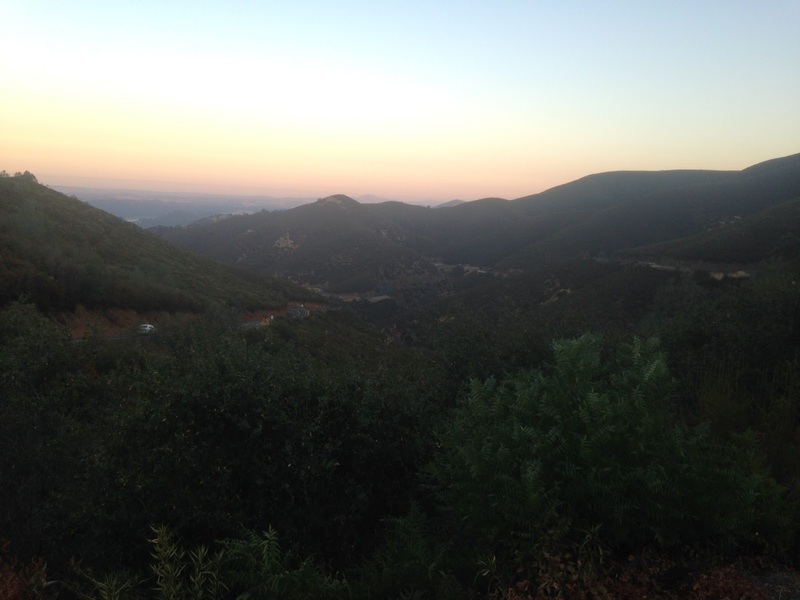 This year and in early 2016 I traveled the rest of CA 49 south to CA 41 in Oakhurst. 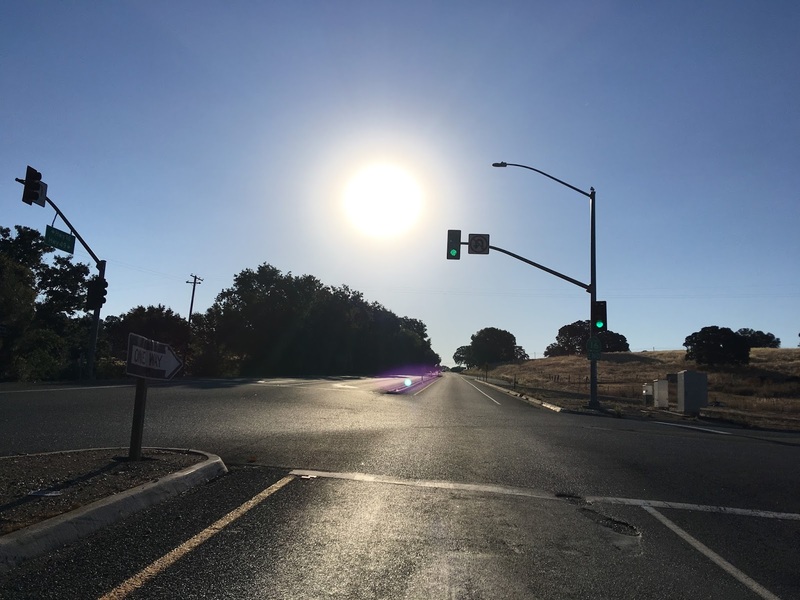 This blog post consists of photos of the highway from those time periods and historical information about the southern part of CA 49. As stated in the previous blog post; CA 49 is an approximately 295 mile long north/south highway which traverses the traditional Gold Rush Country of California. While I intend to discuss county level historical alignments of CA 49 as I did in the first blog post I thought this would be a good place to discuss the backstory of highway. - Mariposa to Auburn via LRN 65. - Auburn to Nevada City via LRN 17. - Nevada City to Sattley via LRN 25. - Sattley to Sierraville via LRN 83. Despite the Signed State Highway program being created in 1934 it took several years for the actual signage to be properly placed out on state highways. CA 49 in it's original form first appears on the 1938 State Highway Map. While referencing legislative information defining state highways in California I generally refer to CAhighways.org. The website has excellent resources for anyone interested in finding out how state highways in California were defined and they came into place dating back to an era even predating the US Route system. In terms of map references I was able to find a couple helpful series of maps on davidrumsey.com. The first series is from California Division of Highways in 1935 that show County Level details for original Signed State Highway routings. The second series is State Level Highway Maps from 1918 to 1990 published first by the California Division of Highways and later Caltrans. While constructing historical maps I was contacted by Eric Metz on the California Historic Highways page regarding a suspected routing through Melones which he confirmed on historicaerials.com. The aerial and topographical photos were extremely useful in tracking down some former alignments of CA 49 in reservoirs. Links to historicaerials.com and the California Historic Highways page can be found below. Originally LRN 65 was first defined in 1921 as a highway running from Auburn south to Sonora. This segment of modern CA 49 was known as the "Mother Lode Highway" and can be seen on the 1922 State Highway Map of California. In 1933 LRN 65 was extended south to Mariposa. This extension can be observed by comparing the 1932 and 1934 State Highway Maps. In the ensuing couple decades there was not very much large scale change with LRN 65 as it became the southern segment of CA 49. By 1959 the legislative definition of LRN 65 was extended south of Mariposa to Oakhurst. By 1960 a proposed extension of LRN 65 to Oakhurst appeared on the state highway map. In 1964 the California State Highway renumbering occurred which renumbered LRNs along state signed highways to match what they were signed in out on the roadways. All unsigned LRNs were given new numbers which largely would be signed in the ensuing couple years. What was the proposed extension of LRN 65 between Mariposa and Oakhurst was renumbered to LRN 49 to denote it would be a future segment of CA 49. By 1967 CA 49 was completed between Mariposa and Oakhurst which can be seen on the state highway map from said year. More information regarding LRN 65 can be found on CAhighways.org. Originally LRN 17 was first defined in 1909 as a highway running from Roseville north to Nevada City. LRN 17 between Auburn and Nevada City would be come part of CA 49 in 1934. Previously LRN 17 between Roseville and Auburn became part of US Route 40 in 1926. The earliest state highway map I can find showing the route of LRN 17 is from 1918. More information on LRN 17 can be found on CAhighways.org. Originally LRN 25 was first defined in 1909 as a highway running from Nevada City to Downieville. LRN 25 was extended over Yuba Pass to Sattley in 1933. LRN 25 in it's original form can be seen on the 1918 state highway map above while the extension over Yuba Pass can be see by comparing the 1932 and 1934 state highway maps below. More information on LRN 25 can be found on CAhighways.org. Originally LRN 83 was first defined in 1933 running from LRN 3 near Mount Shasta to Truckee. LRN 83 is largely known for being signed as part of CA 89 starting in 1934 but also briefly carried CA 49 between Sattley and Sierraville. More information on LRN 83 can be found on CAhighways.org. Interestingly when CA 49 was originally signed it included a section of roadway between Sierraville and Vinton which was maintained by Sierra in addition to Plumas County. During the 1930s it appears that the California Division of Highways signed routes it was attempting to adopt as state highways. Sections of CA 33, 180, and 12 are also seen on the 1938 state highway map running on county maintained roadways. Between 1938 and 1940 it seems that all State Highway signage on routes the state did not maintain were removed. The section of CA 49 between Sierraville and Vinton disappeared during this time frame which can be seen by comparing the 1938 state highway map to the 1940 state highway map. I am uncertain if CA 49 was pulled back to CA 89 in Sattley or still multiplexed it to Sierraville. The route between Sierraville and Vinton would be revisited in 1953 when LRN 233 was defined. LRN 233 had two segments; one in Oakland oddly, the second between Sierraville and Vinton. A proposed routing of LRN 233 can be seen on the 1954 state highway map. Interestingly LRN 233 appears to have been intended to be a much more direct route from Sierraville and Vinton than modern CA 49. Ultimately the existing roadways between Sierraville and Vinton were adopted as part of LRN 233 and was signed as part of CA 49 in 1958. Ironically LRN 233 was on the exact same roadway between Sierraville and Vinton that CA 49 was originally signed on in the 1930s. So with the overall historical information regarding CA 49 out of the way I'll get to the individual sections of the route starting with the southern terminus of CA 49 at CA 41 in Oakhurst which is located in Madera County. CA 49 begins in downtown Oakhurst roughly where the Fresno River and China Creek meet at a confluence. Oakhurst dates back to the 1870s when it was originally known as Fresno Flats. The name of Oakhurst dates back to the 1910s, the community has never seen incorporated. 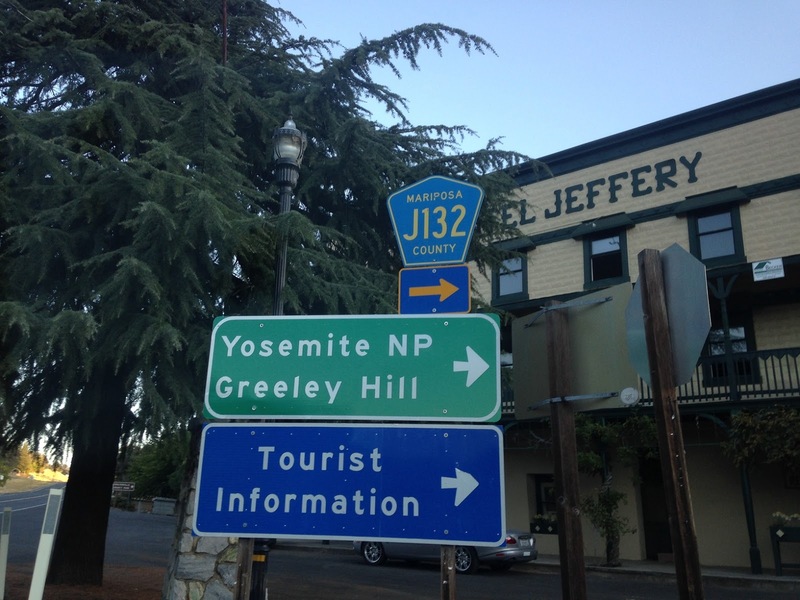 Oakhurst is notable as a gateway to Yosemite National Park via CA 41 but was also well known for being the location of the headquarters of Sierra-Online which was one of the larger PC gaming companies in the 1980s/1990s. From Oakhurst along CA 49 Mariposa located 26 miles to the north. North of Oakhurst CA 49 crosses through the communities of Ahwahnee and Nipinnawasee. Ahwahnee apparently dates back to the 1890s and appears to possibly been a bedroom community of a ghost town known as Gertude which was along the Fresno River near the Enterprise Mine. I found this shop alongside CA 49 which caught my eye given it had some unique metal work. Ahwahnee is mostly known for Wassama Round House State Historic Park which is located on Road 628. The Wassama Round House is a reconstruction of 1860 era Southern Sierra Miwok gathering houses. More information can be found on the official State Park brochure. Nipinnawasee is directly located north of Ahwahnee. My understanding is that Nipinnawasee dates back to the 1900s and once had a Post Office. Apparently the Post Office caught fire 1961 which burnt most of the community of Nipinnawasee. Nipinnawasee never truly rebuilt and while generally isn't considered a ghost town is largely a shell of what it was. North of Nipinnawasee CA 49 enters Mariposa County. 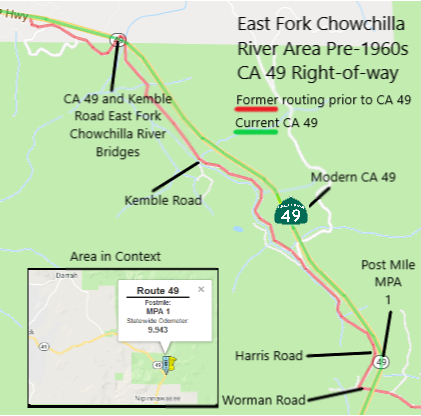 Upon Entering Mariposa County the alignment of CA 49 gets interesting approaching the East Fork Chowchilla River. Modern CA 49 descends a 6% grade and uses a large bridge over the gorge above the East Fork Chowchilla River. Kemble Road is the previous route between Mariposa and Oakhurst that was used prior to CA 49 being extended to CA 41. Kemble Road descends to the East Fork Chowchilla River and crosses over this single lane span located directly below CA 49. On the opposite side of the East Fork Chowchilla River Bridge there is an abandoned overlook which I'm assuming was a vista of the gorge below. Northwest of Kemble Road along what became CA 49 on the 1935 Mariposa County Map there appears to have been a community known as Usona located at Usona Road. I haven't been able to find much information about the community other than a couple scant map references. From Usona Road CA 49 takes a 7% drop on a downhill grade and passes another abandoned vista. CA 49 passes through the community of Bootjack which is roughly located where the highway meets Darrah Road. I was able to confirm on a 1945 aerial on historicaerials that prior to the extension of CA 49 from Mariposa to Oakhurst the County Maintained Highway used Darrah Road and Bootjack Lane through Bootjack as described on the below map. From Darrah Road CA 49 takes two additional 7% grade plunges while approaching Mariposa Creek. Upon reaching Mariposa Creek CA 49 enters the Mariposa County Fairgrounds where the ghost town Mormon Bar was located. Mormon Bar was first mined in 1849 by Mormon Miners. Mormon Bar as a community largely has continued to exist in some capacity likely due to it being directly south of Mariposa. The California State Mining and Mineral Museum is located in the Mariposa County Fairgrounds. The Museum features numerous gem stones and ore from mining all over the world. I wasn't able to take photos of the inside of the building due to photography being prohibited given the high value of what is stored inside. More information about the California State Mining and Mineral Museum can be found on the State Parks website. Interestingly the modern alignment of CA 49 doesn't exist on the east bank of Mariposa Creek in 1935. The Division of Highways map from said year shows the highway from Mariposa to Oakhurst crossing Mariposa Creek to Old Highway then back over again via Mormon Bar Crossing. Old Highway was the original alignment of LRN 18 which became CA 140 between CA 99 in Merced east to Yosemite National Park via the El Portal Road. Old Highway was part of LRN 18 at least until 1932 as it still appears on the state highway map along with the modern route of CA 140 to the north. Previously I wrote about the history of LRN 18/CA 140 along the El Portal Road to Yosemite which can be found here. The former alignment of LRN 18 on Old Highway and the former through route from Mariposa to Oakhurst can be seen on the map below. The modern alignments of CA 140 and CA 49 meet in Mariposa at a junction near 3rd Street. CA 49/CA 140 multiplex through downtown Mariposa. Mariposa was settled during the 1849 California Gold Rush and was located originally approximately 6 miles to the west along Aqua Fria Creek. Following floods and fires in the winter of 1849/50 the town site of Mariposa was moved east to Mariposa Creek where it presently stands. Mariposa County was one of the original counties in California created in 1850 and Mariposa was selected as the county seat in 1851. Originally Mariposa County was by far the largest county in California with it's jurisdiction stretching at least partially into modern day; Merced, Madera, Fresno, Tulare, Kings, Kern, San Benito, Inyo, Mono, San Bernardino, and Los Angeles Counties. The Mariposa County Courthouse located along Bullion Street dates back to 1854 and is the oldest continually operating county court house in California. There is a Rest Area in Mariposa along CA 49/CA 140 which is next to the Mariposa Museum & History Center. The Mariposa Museum & History Center includes displays from; the Golden Key Mine, Mariposa Gazette, and Counts House. Most of the mining equipment is stored outside on open air display. Below are some of the pieces I found the most interesting. The Mariposa Gazette Building dates back to 1854 and is where the paper was circulated from for approximately 70 years. The Mariposa Gazette is still in print today. The Counts House dates back to 1864 and was the home of several Mariposa County Treasurers. North of downtown Mariposa CA 49 splits towards northwest Bear Valley and CA 140 splits northeast towards Yosemite. Until CA 49 was extended to Oakhurst in 1967 this was the southern terminus of the highway. Mount Bullion is listed as 4 miles north and Coulterville 27 miles away. Northwest of Mariposa on CA 49 is the community of Mount Bullion where the Mariposa-Yosemite Airport is located near the junction with Mount Bullion Cut-Off Road. Mount Bullion isn't really much of a community today but it dates back to the at least the 1850s in connection to the Princeton Mine. Mount Bullion might have been once named after the Princeton Mine at one point but I'm not certain. At the north end of the community CA 49 has a junction with Old Toll Road which is the fastest route Hornitos to the west. Interestingly there is a former alignment of CA 49 north of Old Toll Road along Mount Ophir Road which I can confirmed on a 1945 aerial. The Mount Ophir Road alignment of CA 49 can be seen below. About five miles north of Mount Bullion on CA 49 is the site of the community of Mount Ophir. Mount Ophir was founded in 1850 and was the location of the first mint in California; the Mount Ophir Mint. The Mount Ophir Mint was notable for creating $50 dollar gold coins. The Mount Ophir Mint apparently closed in 1853 and apparently still has existing ruins. While I haven't been able to find the mint site myself I have seen pictures of the foundations on ghosttowns.com. Six miles north of Mount Ophir is the community of Bear Valley which is located at the junction of CA 49 and Signed County Route J16. County Route J16 is the longest Signed County Route in California at approximately 76 miles. Bear Valley was first settled as Haydenville in 1851 after gold claims were discovered at the Merced River. The area Bear Valley is located in was part of Rancho Las Mariposas which was purchased by John C. Fremont in 1847. John C. Fremont became wealthy from his mining claims along the Merced River and eventually became the first Republican candidate for U.S. President in 1856. The modern name of Bear Valley was in use by 1858 and the community had Post Office Service on/off until the 1950s. The Oso Hall was a hotel constructed by Fremont in the heyday of Bear Valley. Bear Valley has extensive ruins of crumbled buildings from the Gold Rush Era. 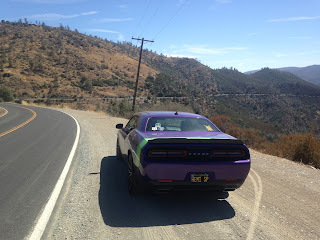 Back in 2016 I took some photos with my Challenger in front of some of them while returning home from Yosemite. North of Bear Valley the community of Coulterville is located 16 miles away on the other side of the Merced River Canyon. There is an overlook at the south rim of the Merced River Canyon where CA 49 can be viewed descending towards the community site of Bagby. The south rim of the Merced River Canyon is the location of John Fremont's fortification which was constructed in 1858 to prevent his mining claims from being seized by claim jumpers. At the bottom of the Merced River Canyon CA 49 crosses said river which is in the upper reaches of the Lake McClure Reservoir. The site of the community of Bagby was a rail siding on the Yosemite Valley Railroad which operated from Merced to El Portal from 1907 to 1945. The Yosemite Valley Railroad used the north bank of the Merced River in the Merced River Canyon and would drop passengers off in El Portal. From El Portal a stage was used for Yosemite Valley Railroad passengers to reach Yosemite Valley proper. 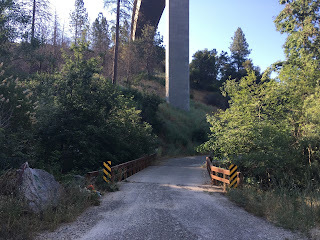 I touched on the Yosemite Valley Railroad in the above article about CA 140/El Portal Road, a timeline history of the line be found here. Interestingly Bagby managed to linger on for a time after the closure of the Yosemite Valley Railroad. It was wasn't until construction of the New Exchequer Dam was completed in 1967 that the peak water levels of Lake McClure were high enough to cover Bagby. Long before Bagby existed Ridley's Ferry operated at the site from the south bank of the Merced River from 1850 to 1852. CA 49 through the Merced River Canyon is probably the most difficult part of the highway. The roadway is extremely narrow and doesn't allow room for very much speed. I took this photo looking south towards Bagby in 2016. As CA 49 emerges from the Merced River Canyon it approaches a junction with CA 132/CR J132 in Coulterville. Interestingly CR J132 is continuation of CA 132 east to CA 120. CR J132 runs on Greeley Hill Road and Smith Station Road. Coulterville was founded in 1850 along Maxwell Creek and is named after George Coulter. Originally Coulterville was called Maxwell Creek but it was changed to the modern name by 1853. Coulterville has numerous buildings from the 1850s which remain in the community today. Some of the more notable buildings that I took photos of were; the Hotel Jeffery which was completed in 1851, the Barrett Blacksmith Shop which was built in the 1850s is now a Mini-Mart, and the Wells Fargo building from 1856 is new a museum. On the western outskirts of Coulterville on CA 132 is a small road named Old Highway 49. Old Highway 49 crosses Maxwell Creek on a one lane bridge and while no longer a through road cuts through the hills back Mary Harrison Mine Road to modern CA 49. I suspect Old Highway 49 was replaced by the modern alignment in 1963 due to the time stamp on the current CA 49 Maxwell Creek Bridge. Old Highway 49 and the likely original east terminus of CA 132 can be seen on the map below. Chinese Camp is 19 miles north of Coulterville on CA 49. Immediately north of Coulterville the alignment of CA 49 opens up into a nice vista view of the roadway. Directly north of Coulterville it appears there is another alignment of CA 49 on Blacks Creek Road that I confirmed on a 1940 aerial which can be seen on the map below. North of Blacks Creek Road CA 49 enters Tuolumne County. Upon entering Tuolumne County CA 49 runs along the eastern bank of Moccasin Creek down a steep canyon at a 7% grade. CA 49 crosses to the west bank of Moccasin Creek and approaches the Moccasin Reservoir near the junction with CA 120. Moccasin is a company town which is operated by the city of San Francisco and was on the Hetch Hetchy Railroad. The original Moccasin Powerhouse was completed in 1925 and was replaced by the present powerhouse in 1969. The Moccasin Dam was which impounds the reservoir of the same name was completed in 1930. The Moccasin Reservoir began to leak in March of 2018 due to heavy rains causing it plug with debris. Ultimately the reservoir did not fail but is presently undergoing repairs as of my writing of this blog which is why it is drained in the photos below. The Hetch Hetchy Railroad was in operation from 1917 to 1949 and was largely used to haul supplies from Hetch Hetchy Junction east to the O'Shaughnessy Dam construction site on the Tuolumne River located at Hetch Hetchy Valley within Yosemite National Park. The Hetch Hetchy Railroad ascended above Moccasin on a series of switchbacks which are presently occupied by Moccasin Switchback Road and Priest Street. The grade can be seen as a cut in the ridge near the descending pipeline in the photos above. More detailed information regarding the alignment of the Hetch Hetchy Railroad can be found at Abandonedrails.org. CA 49 meets CA 120 in Moccasin just immediately west of the Reservoir. CA 120 multiplexes CA 49 to the west and to the east it ascends the New Priest Grade to the community of Priest. The New and Old Priest Grades both ascend slightly over 900 to Priest which lies at an elevation of approximately 2,400 feet. The Old Priest Grade dates back to the early Gold Rush Era as a wagon route which is about 2 miles long and has a sustained 17% grade. The new Priest Grade was completed in 1915 is 5 miles long and has a 4% sustained grade. Both Priest Grades meet at Priest Station which was established in 1849. As CA 49 North multiplexes CA 120 west Sonora is signed as 18 miles away. This particular section of CA 49/CA 120 is part of the Expressway and Freeway system which has a rare 65 MPH speed limit for a State Highway. Northwest of Moccasin CA 49/CA 120 runs along the south bank of Lake Don Pedro. There is a small vista looking northward towards the reservoir. I'm uncertain of what this historic placard used to say. CA 49/CA 120 crosses over the Don Pedro Reservoir via the James E. Roberts Memorial Bridge. Before the Don Pedro Reservoir was expanded the previous span would have simply just crossed the Tuolumne River. Immediately north of the James E. Roberts Memorial Bridge there is an overlook of Don Pedro Lake which faces the former site of the community of Jacksonville. Jacksonville was founded in 1849 along the Tuolumne River, the community survived well into towards the latter half of the 20th Century. Jacksonville was flooded over by the New Don Pedro embankment dam project in 1970. The New Don Pedro Dam project took place from 1967 to 1971 which expanded the Don Pedro Reservoir by replacing the 1924 concrete Don Pedro Dam. Interestingly it would appear that the expanded Don Pedro Reservoir was not allowed to reach maximum capacity until CA 120 was moved. According to the 1935 California Division of Highways Map of Tuolumne County it would appear that CA 120 split from CA 49 approximately where Moccasin Creek met the Tuolumne River is located now. CA 120 appears to have crossed the Tuolumne River roughly where the Moccasin Point Marina is located to Grizzly Road where it would have met the New Priest Grade. It appears that CA 120 was moved onto a multiplex of CA 49 all the way to Moccasin by 1982. Previously CA 49/120 crossed Woods Creek along what is now Shawmut Road from Chinese Camp. From the Woods Creek crossing CA 49/120 crossed the Tuolumne River where CA 120 would split away on the north bank of Moccasin Creek along Grizzly Road. CA 49 followed the south bank of Moccasin Creek to the community of Moccasin. The alignment change in CA 120 can be observed by comparing the 1981 and 1982 state highway map. I based my drawing of the original split in CA 120 from CA 49 off a 1949 topographical map. Northwest of the Don Pedro Reservoir CA 49/CA 120 enter Chinese Camp. Chinese Camp dates back to 1849 and was founded Englishmen who hired a large number of Chinese miners. Chinese Camp reportedly once had a population near 5,000 residents at one point during the height of the mining boom. The earliest aerial map of in Chinese Camp I could find was from 1945. It is possible that CA 49/CA 120 used Curry Street and Red Hills Road through Chinese Camp. I prepared the below illustration of what said alignment might have looked like. What is certain, the split in CA 49/CA 120 was substantially different than it is during modern times. CA 49 now splits from CA 120 immediately north of Chinese Camp whereas originally it would have continued on a multiplex to CA 108 at Yosemite Junction. The modern alignment of CA 49 north of Chinese Camp to CA 108 appears on the 1966 State Highway map as a proposed route. By 1967 the alignment shift in CA 49 north of Chinese Camp to CA 108 was complete. Below is an illustration of what CA 49 through Yosemite Junction would have looked like originally. CA 49 now splits directly north from CA 120 in Chinese Camp, Sonora is signed as 10 miles away. CA 49 crosses the Sierra Northern Railway heading north to CA 108. I was fortune enough to see a locomotive while at the tracks. CA 49 meets CA 108 only 3 miles south of Jamestown. CA 49/CA 108 continue north into Jamestown multiplexed. There is a BGS outside of Jamestown indicating if CA 108 over Sonora Pass is open far to the east at the crest of the Sierras. 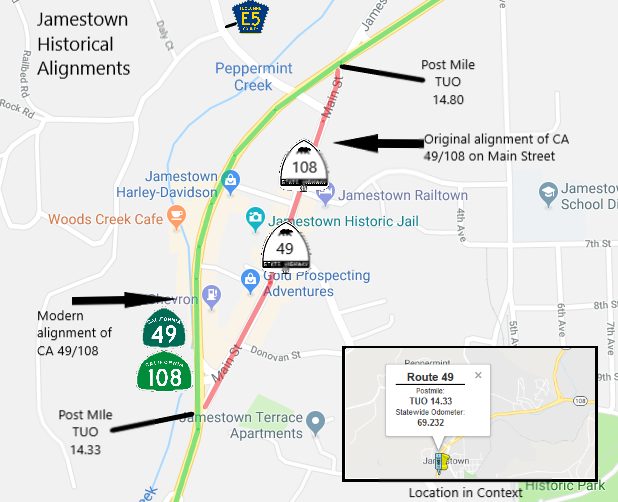 Originally CA 49/108 would have run through downtown Jamestown on Main Street. Modern CA 49/108 bypass downtown Jamestown to the west. The illustration below shows the difference between the original routing of CA 49/108 versus the modern bypass. The CA 49/108 bypass shows up by comparing the 1967 and 1977 topographical maps on historicaerials. Jamestown is named after Colonial George F. James who set out to stake claims in the area following the discovery of gold at Sutter's Mill in 1848. Jamestown along Main Street largely appears much as it did during the height of the Gold Rush. Some of the notable structures I looked on Main Street at were; the 1898 Branch Jail, the 1897 Emporium, and the 1880 Jamestown Hotel. Jamestown is the location of Railtown 1897 State Historic Park. Railtown 1897 preserves a section of the narrow gauge Sierra Railroad which operated until the 1960s by the West Side Lumber Company. The State Historic Park features various real steam locomotive and a functional locomotive repair shop. In 2018 I stopped at Railtown 1897 which is located on Sierra Avenue. Railtown 1897 still features a working rail depot. Sierra Railway #3 can actually be taken on a 45 minute ride from the depot. Sierra Railway #3 is a steam locomotive constructed in 1891 and was retired from service in 1932. Sierra Railrway #3 was restored and put back into service at Railtown 1897 in 2010. The 45 minute ride on Sierra Railway #3 includes a decoupling, a couple mine overlooks, and an view of an old water tower siding. Aside from Sierra Railway #3 the main attraction of Railtown 1897 is The Roundhouse which is one of two remaining in the United States with it's original tooling for steam locomotives. The Roundhouse contains various locomotives and a working turntables. Hetch Hetchy No. 19 in particular caught my eye given I did a lot of looking into the Hetch Hetchy Railroad while reaching Moccasin. The Blacksmith House is original and was used to construct tools for the Sierra Railroad. The Lumber House features various signs and a timeline of what movies the Sierra Railroad appeared in. North of downtown Jamestown CA 49/CA 108 meets CR E5 which splits away on Rawhide Road. CA 49/CA 108 continue multiplexed approaching Sonora. Sonora is signed as only 3 miles away from Jamestown. Modern CA 108 crosses Woods Creek on a bypass south of Sonora while CA 49 follows Woods Creek into the city. 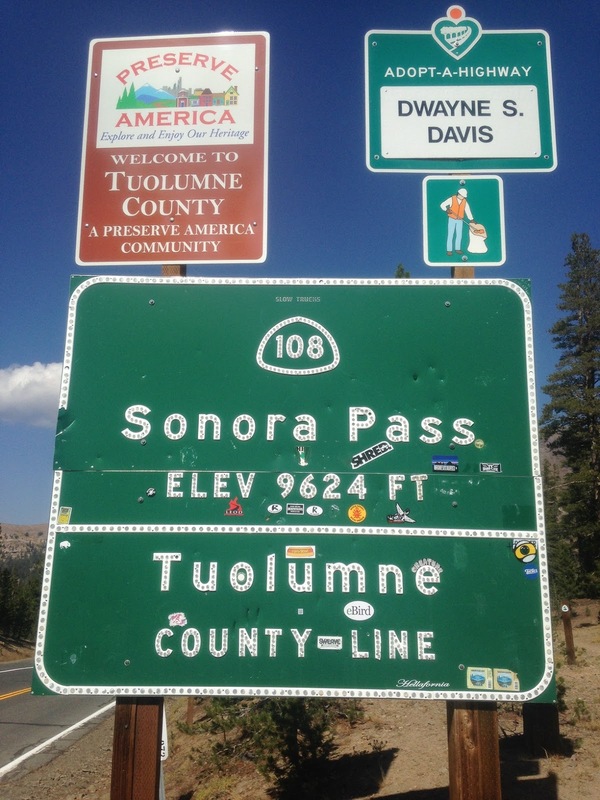 CA 108 continues east to Sonora Pass which lies at an elevation of 9,624 feet and has the highest highway grade in California with a 26% drop approaching US 395. CA 49 follows Stockton Street into downtown Sonora and continues north on Washington Street. Originally CA 108 followed CA 49 into Sonora where it would have used Washington Street south to Mono Way to exit the city. The modern bypass CA 108 takes south of Sonora is relatively modern having been completed sometime between 1986 and 1988 which is evidenced by the two maps below. This illustration below shows what the alignment of CA 108 would have looked like before the bypass to the south was built. This is a quick visual look south on Washington Street which was once CA 108. Sonora is the county seat of Tuolumne County which is one of the original 1850 California Counties. Sonora was settled by Mexican miners who named it after the Mexican State of the same name. Reportedly Sonora once reached a population of approximately 14,000 residents at the height of the Gold Rush boom. Sonora retains much of it's original character and still boasts a population close to 5,000 people. Personally I find Sonora to be the most visually appealing of all the Gold Rush era towns, although Jackson and Placerville somewhat close in terms of charm. Washington Street/CA 49 is lined wall-to-wall with historic structures. North of downtown Sonora CA 49 possibly once used Columbia Way and Old Sonora-Columbia Road. That said I cannot find any vintage maps that show a Columbia Way alignment. In either event the difference from the modern alignment of CA 49 compared to Columbia Way is so minor that I didn't bother to illustrate it. Columbia State Park is signed as 3 miles north of Sonora on CA 49. At the northern end of Columbia Way and CA 49 there is a historical marker for Columbia. North of Sonora CA 49 meets CR E18 at Parrots Ferry Road. CR E18 continues north to Columbia State Historic Park. Columbia State Historic Park preserves the historic downtown section of Columbia. Columbia dates back to 1850 and was once incorporated. The population of Columbia at the height of the Gold Rush apparently ranged from 2,000-5,000 people depending on the productivity of mining in the area. Main Street was declared a State Historic Park in 1946 and presently over 30 structures preserved from the height of the Gold Rush. From CR E18 the routing of CA 49 takes a western jog towards New Melones Lake. CA 49 meets CR E5 again at Rawhide Road. Angels Camp is signed as 11 miles to the north on CA 49. There is a small monument at the corner of CA 49 and E5 regarding a Mormon Battalion that settled a nearby gulch that eventually became Tuttletown. The Battalion apparently was inducted into the US Army in 1846 during the Mexican American War and settled the area in 1847. CA 49 shortly enters the community of Tuttletown. At Tuttletown Road and CA 49 there is a small monument for Tuttletown. Tuttletown was founded in 1848 and was named after a judge who built a log cabin in the area. Tuttletown was mostly known for being frequented by Mark Twain. The terrain north of Tuttletown is very twisty approaching New Melones Lake. There is a small monument on a dirt pullout for Mark Twain's Cabin. CA 49 enters Calaveras County via crossing New Melones Lake. New Melones Lake is a reservoir along the Stanislaus River which was originally created when the first Melones Dam was completed in 1926. The modern New Melones Dam was completed in 1980 which raised the level of the reservoir and flooded out the community of Melones. Melones was originally founded as Robinson's Ferry in 1848 which operated a ferry of the same name during the Gold Rush era. CA 49 originally used Melones Court to cross the Stanislaus River to Melones and would have emerged in Calveras County close to the modern crossing on an abandoned road sometimes listed as Old Highway 49. The original alignment of CA 49 can be seen crossing the Stanislaus River in close proximity to Melones on the 1935 California Division of Highways map of Calaveras County. There is a small overlook of CA 49 and New Melones Lake on the Calaveras County side. Below is a visual representation of the projected original crossing CA 49 took over the Stanislaus River. North of New Melones Lake CA 49 rises in elevation and approaches the town site of Carson Hill. Carson Hill was the location of a 1850 gold strike and was named after Army Sergeant James Carson. Carson Hill once claimed the largest gold nugget found in California back in 1854 which weighed 195 pounds. All that is really left of the former site of Carson Hill is a small monument, the area is still actively mined to this day. North of Carson Hill along Angel Creek CA 49 enters Angeles Camp. In downtown Angels Camp CA 49 runs on Main Street and meets the CA 4 Business Loop at Vallecito Road. Originally CA 4 used to multiplex CA 49 through downtown Angels Camp and exit east via Vallecito Road. Today CA 4 bypasses downtown Angels Camp to the northeast. The bypass route CA 4 takes is fairly modern and shows on historicaerials by comparing the 2005 and 2009 photos. Reportedly Angles Camp was named after Henry Angell and originally established as a mining camp in 1848 but quickly grew to a substantial town site. By the peak of the Gold Rush mining boom Angels Camp apparently had close to 15,000 people living in the community. Angels Camp is largely known for the 1865 Mark Twain short story called "The Celebrated Jumping Frog of Calaveras County" which has led to the community nickname of "Frogtown." North of downtown Angels Camp CA 49 approaches it's modern junction with CA 4 and enters the Altaville neighborhood. CA 4 continues east towards Pacific Grade Summit and Ebbetts Pass. Ebbetts Pass is probably the most infamous state highway pass in the Sierras due to the single-lane roadway and grades of 24%. Altaville used to be a separate community to Angels Camp and was established in 1852. The Altaville Grammar School still stands on the west side of CA 49 and was built in 1858 and was apparently in use until the early 1950s. San Andreas is signed 11 miles north of Angels Camp on CA 49. At Calaveritas Creek CA 49 has a unique under-pass crossing with Cement Plant Road. The stamp on the bridge displays the name "Calaveras Cement." CA 49 eventually enters San Andreas where it runs on Charles Street. CA 49 used to take a right turn into downtown San Andreas and CA 12 originally began ahead. Originally CA 49 used Main Street and Gold Strike Road to traverse through downtown San Andreas, the alignment can be seen on the 1935 Calaveras Highway map noted above. The original alignment of CA 12 would have entered San Andreas on Charles Street and met CA 49 at the intersection of Main Street. I'm not certain when the alignment change of CA 49 and CA 12 to the modern routing was made but there does appear to be a shift comparing the 1966 to 1967 state highway maps. The difference between the modern alignment and the original can be seen on this map illustration below. San Andreas was founded as a mining camp in 1848 and became the Calaveras County seat in 1866. San Andreas has nothing to do with the fault of the same name far to the west and was named after a Catholic Parish. San Andreas is somewhat notable being the location where Black Bart was convicted for stage robberies. The majority of historic structures are on the old alignment of CA 49 on Main Street. CA 49 meets the CA 12 immediately west of downtown San Andreas. As CA 49 crosses San Andreas Creek the community of Mokelumne Hill is signed 7 miles to the north. CA 49 has a junction with it's historic alignment on Gold Strike Road north of San Andreas. Southbound CA 49 even has a BGS displaying Historic CA 49. CA 49 has a junction with CA 26 in Mokelumne Hill. CA 49 has a historic routing signed along Main Street and Center Street through downtown Mokelumne Hill. Originally CA 49 would have entered Mokelumne Hill on Church Street and used it to reach Main Street. CA 49 would have met CA 8 at Campo Seco Turnpike in Mokelumne Hill on Center Street and multiplexed north to Jackson. The original alignment can be seen on the 1935 Calaveras County Highway map above along with the original multiplex of CA 8 on the 1938 State Highway Map below. The original of routings of CA 49 and CA 8 through Mokelumne Hill can be observed on the illustration below. It appears that the modern bypasses of Mokelumne Hill for CA 26 and CA 49 was constructed some time between 1985 to 1998 by comparing maps on historicaerials. Sometime between 1938 and 1940 CA 8 was cut back to CA 49 in Mokelumne Hill whereas the newly created CA 88 was routed over Carson Pass. In 1964 CA 8 was changed to CA 26 to avoid a numbering conflict with Interstate 8. CA 26 was extended east of Mokelumne Hill to West Point. Sometime between 1970 and 1975 CA 26 was routed from West Point to CA 88. Mokelumne Hill was founded by Oregon miners in 1848 along the at the rim of Butte Canyon above south bank of the North Fork Mokelumne River. Mokelumne Hill once had a population possibly as high as 15,000 and was selected as the Calaveras County Seat in 1852. Easy gold from the placer claims on the North Fork Mokelumne River began to run out in the 1860s which led to the county seat being shifted to San Andreas in 1866. Some of the more notable structures in Mokelumne Hill I observed were; the three story Black Smith Shop, the 1874 Hotel Leger, and the 1854 Mayer & Son Store. North of Mokelumne Hill CA 49 descends Butte Canyon to the North Fork Mokelumne River and the Amador County Line. From the Amador County Line CA 49 ascends Butte Canyon on a steep grade. At the top of Butte Canyon CA 49 enters what was Butte City. Butte City at one point had over 100 structures, today there is only left standing; the Butte Store. The Butte Store apparently was constructed in 1857 but I've seen other accounts dating it back to 1854. Approaching Jackson CA 49 enters the city on Sutter Street. CA 49 would have originally entered downtown Jackson along with CA 8 on Broadway. CA 49 meets CA 88 on the outskirts of downtown Jackson near the confluence of the North and South Fork of Jackson Creek. CA 88 westbound multiplexes CA 49 on a bypass of downtown Jackson. To the east CA 88 continues over the Sierras via to Carson Pass to the Nevada State Line. As state above originally CA 49/CA 8 would have entered Jackson via Broadway. At Water Street CA 49 turned towards downtown Jackson and Main Street while CA 8 continued east over Carson Pass. CA 49 used Main Street and Sutter Street to reach Martell north of downtown Jackson. The original alignment of CA 49 and CA 8 in Jackson can be seen on the 1935 California Divisions Highway Map of Amador County. By 1940 CA 8 was cut back to Mokelumne Hill as described above and CA 88 was routed over Carson Pass. CA 88 would have entered downtown Jackson multiplexed with CA 49 on; Sutter Street, Main Street, and Water Street. It appears that the modern CA 49/88 bypass of downtown Jacksonc was completed sometime between 1957 to 1959 as the alignment appears upon comparing topographical maps on histroicaerials. The alignments of CA 49, CA 8, and CA 88 historically can be observed on the below illustration. My apologies in advance for the copious use of hand drawn numerals. Jackson was founded in 1848 and is the only County Seat Amador County has ever since it was created in 1854. Jackson was named after Colonial Alden Jackson and was one of the longest lasting mining communities in California due major mines being open until World War II. Two of the more notable mines around Jackson were the Kennedy Mine and Argonaut Mine. The Kennedy Mine once had the deepest mine shaft in North America at approximately 5,900 feet. The Argonaut Mine reached a depth of approximately 5,500 feet but was more well known for a 1922 fire which killed over 40 miners. Both the Kennedy Mine and Argonaut Mine closed in 1942 when gold was determined not to be a metal essential during World War II. Most of the historic structures in Jackson are along Main Street north of Jackson Creek. North of Jackson modern CA 49 turns northwest towards Martell which is signed as being only 1 mile away. On the uphill grade there is a vista of the Kennedy Mine and Jackson. CA 49 in Martell continues north whereas CA 88 splits west towards Stockton. Sutter Creek is signed as only 2 miles north of Martell on CA 49. At Ridge Road CA 49 has a junction with CA 104 which was intended to continue east on Ridge Road to CA 88. According to CAhighways.org this extension of CA 104 was defined in 1970 and it appears on the 1975 State Highway Map. Modern CA 49 bypasses downtown Sutter Creek and Amador City to the west. Old Route 49 is signed as a historic routing of CA 49 through downtown Sutter Creek and Amador City. Interestingly this bypass of Sutter Creek and Amador City is fairly modern as it is shown being completed between 2005 and 2009 on historicaerials. 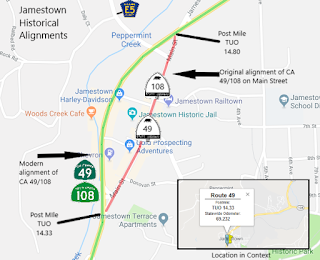 The below illustration demonstrates the difference the modern CA 49 alignment takes over the original through route in Sutter Creek and Amador City. Sutter Creek is named after a nearby creek which takes it's name from John Sutter. Sutter Creek was founded as a mining camp in 1848 and eventually would become incorporated in the 1910s. Much like Jackson, mining was active in the area until 1942 when the Eureka Mine shuttered. The Eureka Mine reopened after World War II but shuttered for good in the 1950s. Amador City is located directly north of downtown Sutter Creek. Amador Creek was apparently settled in 1849 slightly to the east of the present location at the junction of Amador Creek Road and Turner Road. Both Amador Creek Road and Turner Creek Road were apparently part of a stage route to Drytown via New Chicago. I'm to understand more substantial mining claims were found westward on Amador Creek in 1851 which is why the community migrated to the present downtown area. Amador City has actually been incorporated since 1915 despite having less than 200 residents today. Directly west of Amador City, Old Route 49 rejoins modern CA 49, From Amador City CA 49 continues north to Drytown which is located at the intersection with New Chicago Road. Drytown is reportedly the oldest community in Amador County but I can't corroborate that is the case. Drytown apparently was anything but "dry" as it had almost 30 saloons in it's heyday. Mining in Drytown took a sharp decline in the 1860s and a large fire during the same decade destroyed most of the structures. North of Drytown CA 49 meets the eastern terminus of CA 16. As noted above I already created a blog entry on CA 49 previously north to Sierraville and CA 89. In case you made it this far and missed the link earlier it can be found here.